The information provided here is for reference only. The Port of Bellingham determines the cost and policies for the public moorage and may change at any time. Contact the Port of Bellingham or The Community Boating Center for current rate information and availability. 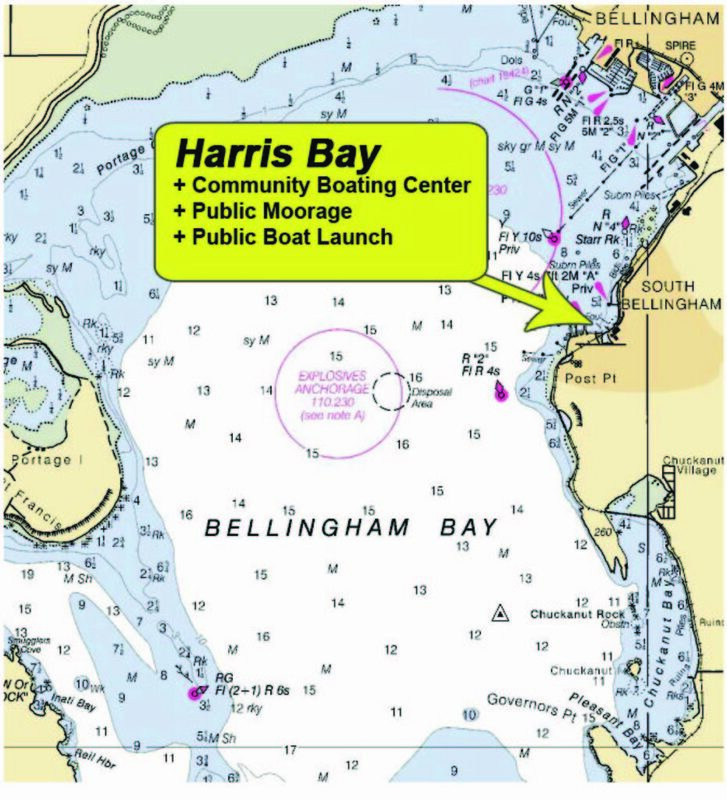 The Community Boating Center manages the day-to-day aspects of the public moorage on behalf of the Port of Bellingham. Moorage is available only from May 1 - October 31. Reservations prior to the start of the season cannot be made. Water depth ranges from 17-24 feet. These waters are a no discharge area. The closest pump-out is in Squalicum Harbor. There are no utilities (power, pumpout, water), however a public restroom is open at the boat launch. The minimum billing length for all moorage is 24'. No vessel assignments over 38' LOA. Visitor moorage is allowed for up to three consecutive days (after which one must begin a monthly moorage contract). No vessel insurance is required. The daily rate is $0.50 per foot, with a 24' billing minimum. In-person at the Community Boating Center during business hours. Using payment envelopes and secure drop-box at the boat launch ramp. Monthly moorage is billed by the calendar month. Pro-rating is not available. The first month's moorage payment is due in advance and is not refundable. Payment can be made in-person during the Boating Center's business hours. Subsequent payments can be made by check or over the phone. 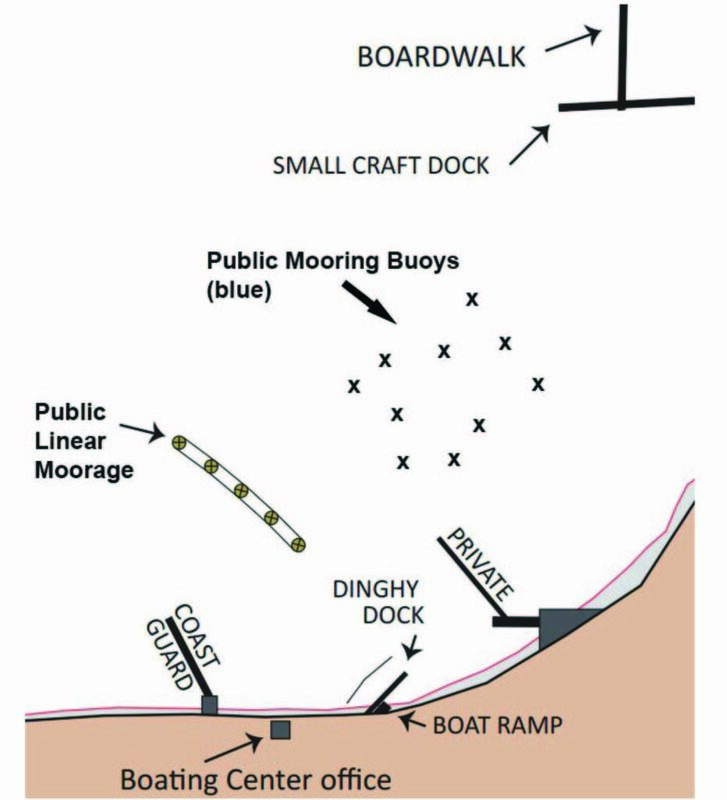 Vessels must pay daily moorage until arranging a monthly moorage contract. Copy of insurance policy required. At least $300,000 liability coverage. Port of Bellingham must be named as Additional Interest / Insured. 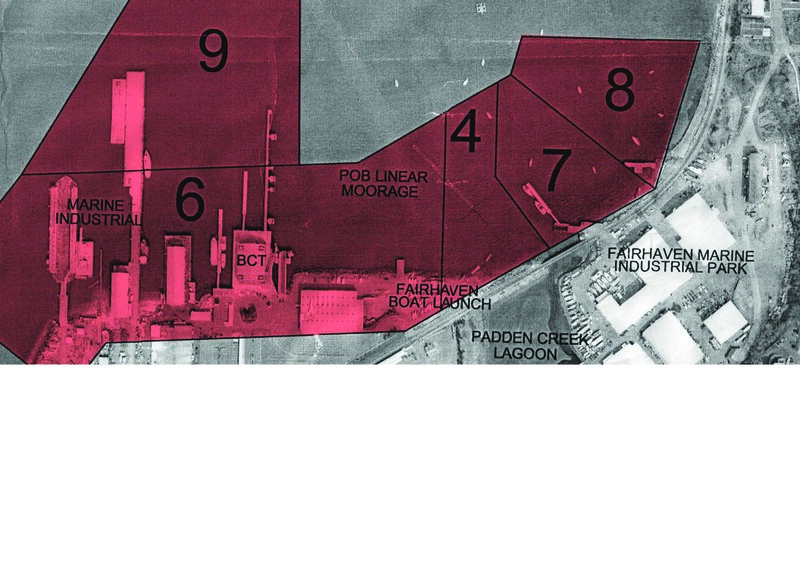 Below is a chart showing the Fairhaven Port Management Area shaded in RED. Anchoring is not permitted inside the PMA. Vessels left anchored inside the PMA may receive a notice and/or fine from the Port of Bellingham. Anchoring outside the PMA is governed by the Washington Administrative Code and managed by the State's DNR. Click here to view the Washington Administrative Code online which pertains to anchoring. Members of the public interested in anchoring should contact the State's Department of Natural Resources with questions.